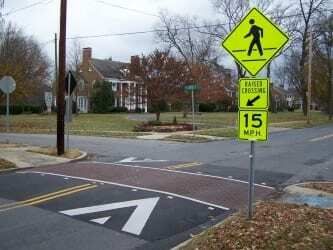 Baltimore County’s Department of Public Works is asking the public to comment on proposed revisions to the County’s Traffic Calming Program – the program which provides speed humps and pedestrian safety improvements to qualifying neighborhoods in order to slow traffic and preserve neighborhoods. Revisions to the Neighborhood Traffic Management Program (Traffic Calming’s official designation) were initiated by the Baltimore County Council earlier this year in order to expand the program’s original benefits to a larger part of the County. Since its creation thirteen years ago, Traffic Calming has been limited to qualifying residential roads with prescribed traffic volumes. Proposed revisions to the current policy are available online. The public comment period runs through Wednesday, August 31, 2016. All questions and comments should be emailed to Keith Link, Traffic Calming Program Manager, at wlink@baltimorecountymd.gov.